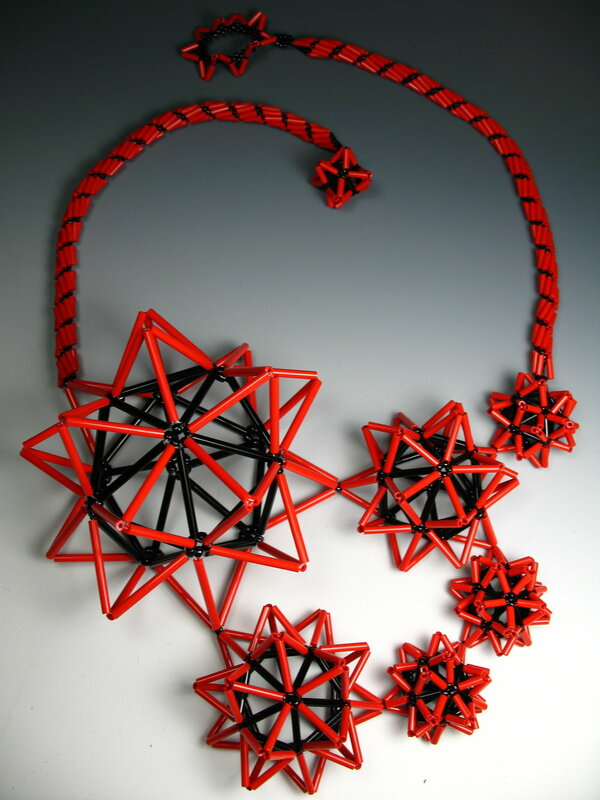 Several sizes of seed beads and bugle beads were used to make the graduated geometric shapes in this necklace inspired by the work of physicist David Bohm. Featured in the "Contemporary Beadwork II" exhibit in 18 Hands Gallery, Houston, TX where it received an Honorable Mention award. Won first place in the Seed Bead Work - Jewellery category in the 2010 British Bead Awards.